Sarra Manning is back with her second historical fiction book called ‘The House Of Secrets’. An ordinary house on an ordinary street, built in 1936 and never lived in. Its rooms might be empty, but this house is full of secrets. When Zoe and Win, raw and reeling from a recent tragedy, move into their new home it’s meant to be a fresh start and a way to mend the holes in their relationship. But when Libby’s story takes a darker turn, Zoe becomes increasingly obsessed with discovering what really happened all those years ago. Because if Libby managed to get her happy ever after then maybe Zoe and Win can too. 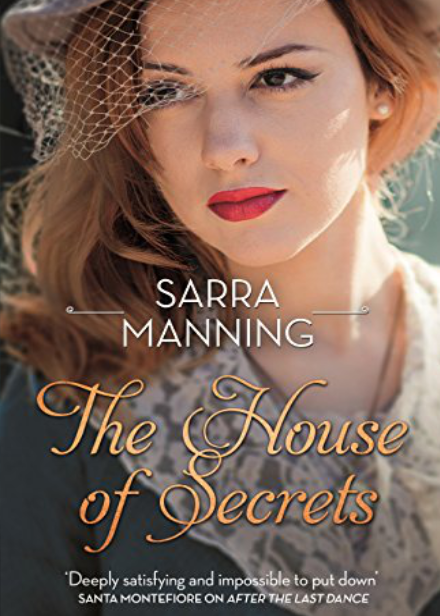 With it’s beautiful cover, ‘The House Of Secrets’ sounds like a classy read from Sarra. You can pre-order The House of Secrets from Amazon and will be available to buy from 27th July 2017.